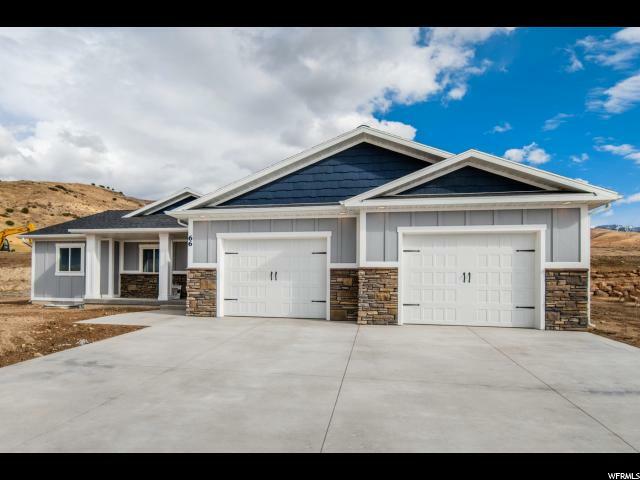 All Smithfield homes currently listed for sale in Smithfield as of 04/24/2019 are shown below. You can change the search criteria at any time by pressing the 'Change Search' button below. "This ranch only needs a touch of imagination & titch of elbow grease to be your dream come true! & since you'd be the one to perfect it, that means it would be done entirely to your taste! The setting: Smithfield Canyon with loads of privacy, rolling hills, & flat places with 4 springs, Summit Creek, & irrigation for water. The house: okay, so it's in need of some major repairs, but the structure & roofing are sound & you can refurbish it completely how you would love it-- it's got great living areas, 2 kitchens, spacious bedrooms, a hydroelectric generator (powerful enough to power 3 more houses), & a culinary well. Don't be afraid to knock it down & begin anew if you'd prefer! The outbuildings: horse stalls, tack sheds, separate 4 car garage, & large tractor barn (30'x30' with 20' ceilings). 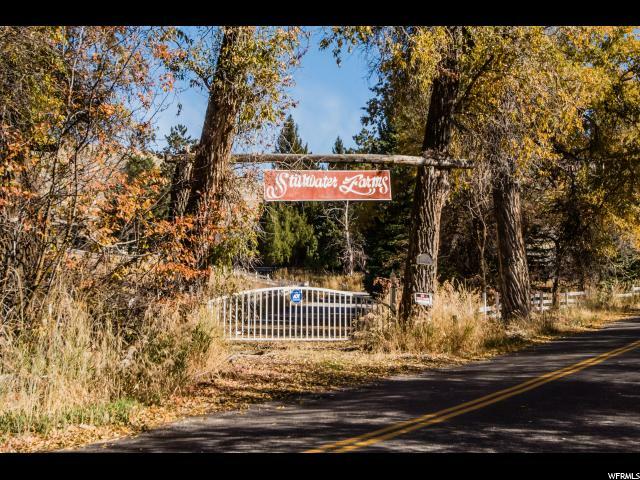 The land: 320 acres with stunning mountain & valley views, asphalt roads, a private drive, fencing, & gated entry. This really IS the ultimate horse ranch property! So much potential here-- do you have the vision for it? (Property is being sold as-is & includes 3 parcel numbers & 9 water right numbers. Square footage figures are provided as an courtesy estimate & were obtained from county records. Private showings permissible to qualified buyers exclusively. Buyer to verify all information.)" 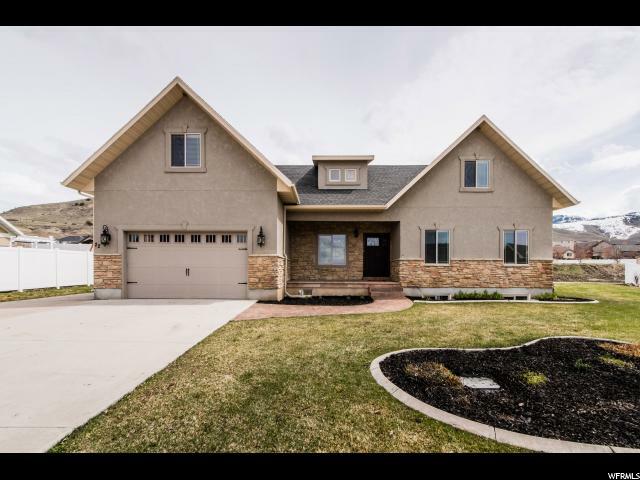 "This custom home is priced to sell! 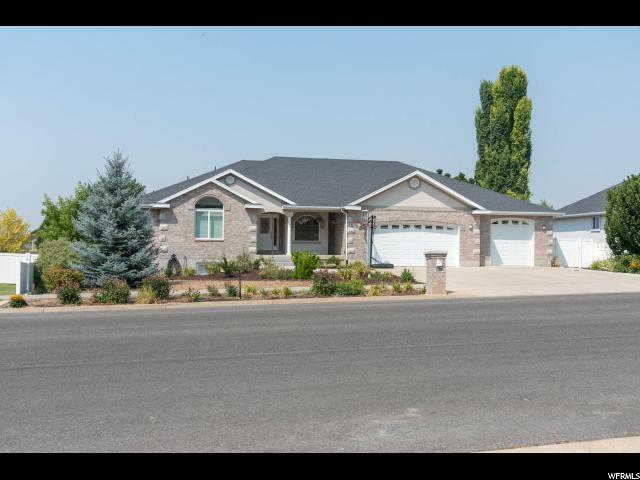 Located across the street from Birch Creek Golf Course, this home has stunning views of the valley and mountains. 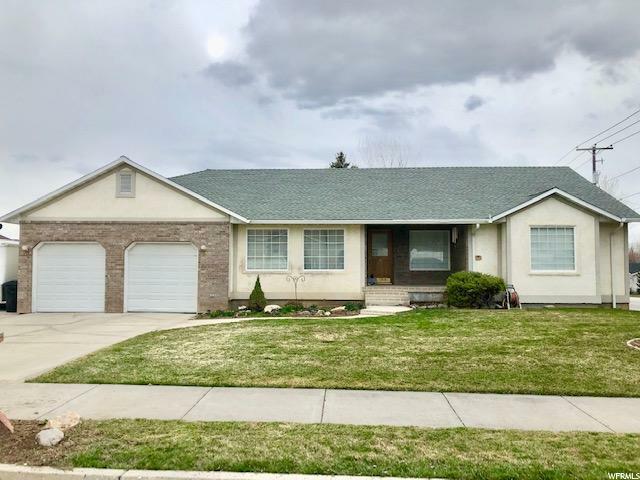 Beautiful hard wood and marble flooring, granite counter tops, and speakers throughout the main floor, deck and patio make this home a paradise! While it has a spacious open floor plan it still provides a beautiful formal dining and a formal sitting room. The basement has been framed and sheet rocked, BASEMENT IS SCHEDULED TO BE FINISHED BY JUNE! Schedule your showing today! Square footage figures are provided as a courtesy estimate only and were obtained from county records. Buyer is advised to obtain an independent measurement." 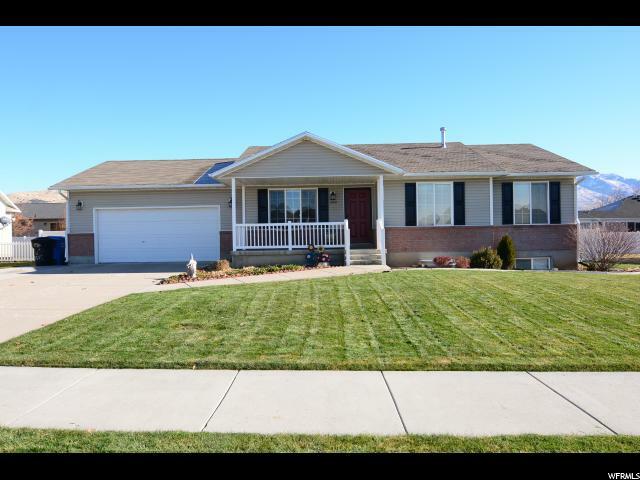 "Beautiful home in a great neighborhood located near Birch Creek Golf Course. This house has all the upgrades! Large bedrooms, custom built closets in every room. All updated stainless steel appliances, updated flooring upstairs. Large walkout basement with a kitchenette. Fully fenced yard with automatic sprinkler system. Covered patio, deck with a large awning. Come see it for your self! " "SALE FAILED--BACK ON THE MARKET. OWNER'S ILLNESS FORCES SALE OF DREAM HOME. RENOVATION FINANCING AVAILABLE TO QUALIFIED BUYER with $165,000 down. 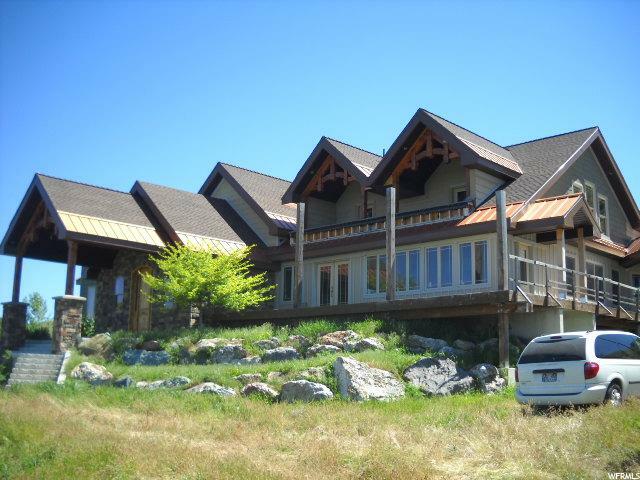 This exceptional property consists of a 10,890 SF house on 10+ acres with spectacular views. The home is partially finished but needs an additional infusion of capital to finish the interior. Room totals are proposed (framed only). Heavy timber framing throughout the home. There is also a large steel structure on the property which could be a barn, stable, workshop, etc. SF shown is per recent appraisal. Buyer is advised to obtain its own verification of all measurements shown on this listing. AGENT RELATED TO SELLER." "Price Reduced! Huge open layout! Chef's kitchen with 2 dishwashers, 2 sinks, 48 six burner range with a custom hood that vents outside and a double convection oven. Enormous bedrooms with multiple suites. 2nd kitchen downstairs open to another great room that is wired for surround sound and projector. 2nd laundry, ample storage area, high efficiency furnace, LED lighting throughout the house. All for $85/foot! Amazing value!" "You must see this inviting and upscale custom home with top notch finishes that set it apart. Copper accented bay, wood beams, coved shingles, corbels, moldings, and glazed stucco make this home unique and create great curb appeal. Inside are lots of custom wood trims, plus a unique eye-catching fireplace. Soft lighting in the trey ceiling and soaking tub create a relaxing atmosphere in the master. Every home needs a large, functional kitchen and laundry room; this home has them! You'll love the raised bar to hide the dishes you didn't get washed! New carpet and hardwood upstairs; newly finished bedrooms and bath in basement. Plumbing is in for a kitchenette in the basement. Enjoy the covered east-facing patio for shady evening entertaining and raised garden beds. 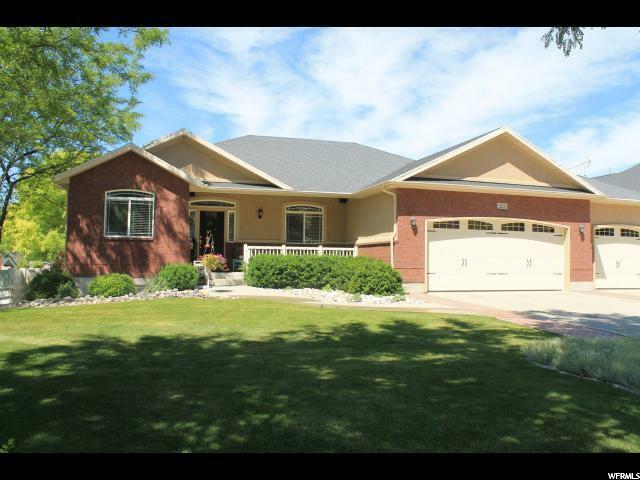 Huge 4 car garage; plenty of storage throughout. Located in a wonderful neighborhood in a coveted east bench location, close to shopping. Owner/Agent"
"Truly turn-key and ready to occupy! This home features vaulted ceilings, 6 spacious bedrooms, 3.5 bathrooms, a beautiful great room, a fireplace, main floor laundry, a massive basement family room, loads of storage space, a HUGE oversized garage to fit your cars and toys, & a wonderful covered patio with insane mountain views... this spacious rambler simply has so much to ramble on ABOUT! Get in today for your private showing! (Square footage figures are provided as a courtesy estimate only & were obtained from county records. Buyer/agent to verify all information.)" "BEAUTIFUL New Home located on the east bench of Smithfield surround by attractive homes in prestigious neighborhoods. 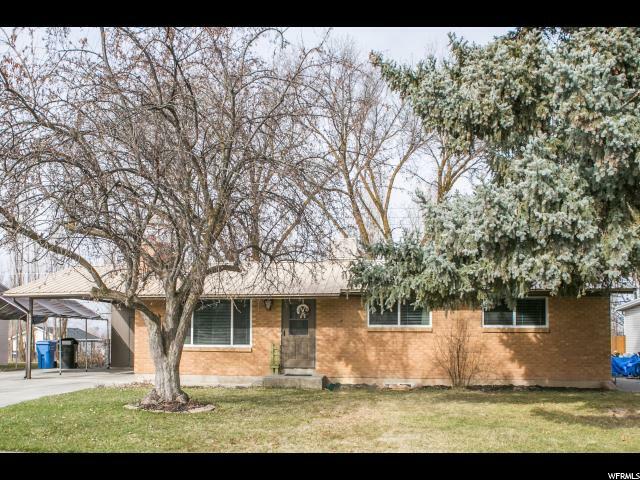 Large Open Concept with 9' ceilings on main floor and Vaulted Great Room! 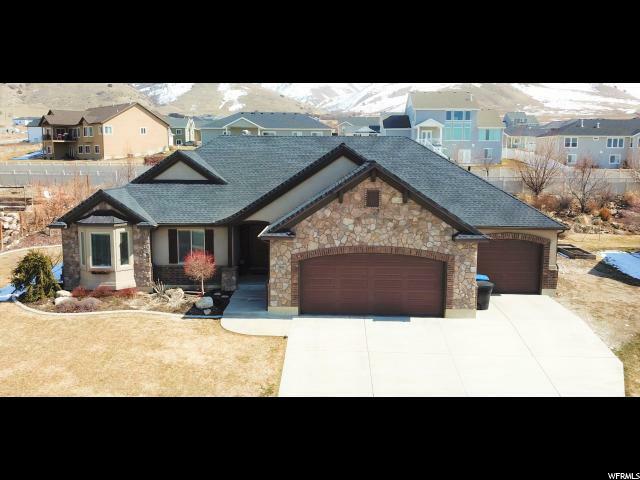 Third Car Garage with walkout basement and large spacious deck! Gorgeous finishes; ceiling height white cabinets, quartz countertops, theme wall in the Entry and in the Great Room. Large Master Suite with large soaker tub and separate shower. THIS is a must see, you won't be disappointed!!! (Photos: Are from a previous showcase home, showing different features from what is included in this NEW home.) "
"Location! Views! Spacious! Beautiful black walnut flooring in kitchen with stainless steel appliances and main floor laundry. Enjoy entertaining guests in the lovely dining room, living room and parlor. The main floor master bedroom suite has a custom walk in closet, jetted tub and walk in shower. Three bedrooms upstairs and two bedrooms in 100% finished walkout basement that boasts large, open windows that let in tons of sunlight with plenty of room for a game room, home theater, home office, or even exercise room.This home goes on and on! Oversized 3 car garage with RV pad. Located on quiet street near schools, shopping and community. facilities." "You won't want to miss seeing this home located on the east bench of Smithfield. The home has an open layout the minute your walk through the front door. It includes 2 large family rooms for your enjoyment and entertaining. Beautiful kitchen opening up into the great room for your gatherings. Enjoy the convenience of 2 laundry rooms located close to all bedrooms for washing needs. This 6 bedroom, 3.5 bath is ready and waiting for you! Square footage figures are provided as a courtesy estimate only; buyer is advised to obtain an independent measurement." "Wow! 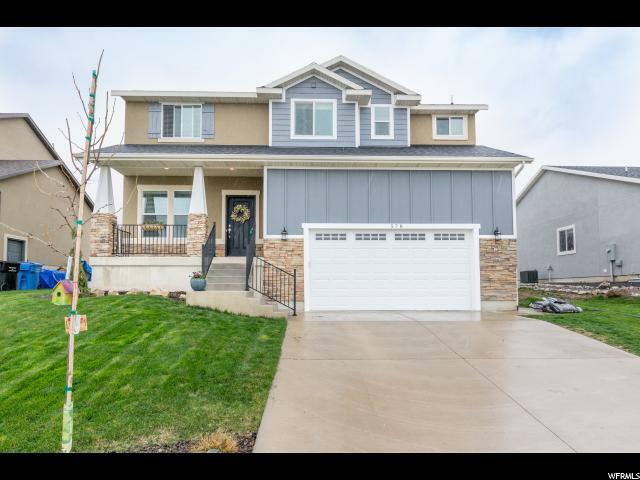 This beautiful 7 BR, 3 Ba home is like new, full of upgrades and ready for move in at a bargain price! The home has so many special features...a stately front door with stained glass, a gorgeous rock fireplace, beautiful Brazilian cherry floors that have been refinished. The paint is new as is the carpet, and the updated kitchen is sporting nice stainless appliances. The floor plan is marvelous - everything you need -including the master, laundry, guest room and office space on the main level, plus a wonderful upstairs living room with 4 spacious bedrooms and a bath upstairs for the kids! The quiet neighborhood - near the golf course, hiking and parks is a real winner and soon a fence in the back yard will be completed. Schedule your showing today! Be sure to check out the 3D tour! Buyer to verify all information." 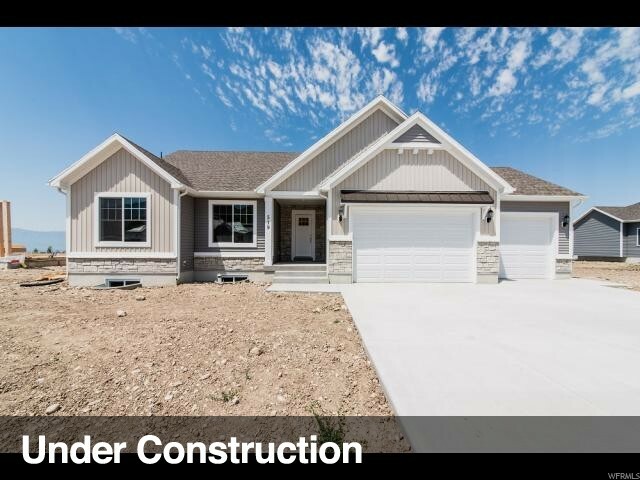 "Looking for a Brand NEW home with gorgeous finishes? This will be a must see home for you! With color chosen by talented designers with a high end look, this home will welcome you every time. With Quartz countertops, dark stained cabinets, and a clean white back splash, the kitchen will be a room you will love spending time in. In true Open Concept living, you will have great entertaining space in the large living and dining rooms. Nine foot ceilings throughout help open the spaces as well giving a grand impression. the Master Suite features a large walk in closet and private bathroom with a walk in shower. With great storage on the main level and the option for growth in the basement, this home will give you many years of comfort and enjoyment! PHOTOS PROVIDED ARE OF AN EXISTING HOME TO GIVE AN IDEA OF LAYOUT. FINISHES INTERIOR AND EXTERIOR WILL VARY. Square footage figures are provided as a courtesy estimate only and were obtained from building plans . Buyer is advised to obtain an independent measurement." "Reduced Price!! Welcome to your Brand New Home Literally! This beautiful new home has elegance in the details. Walk under the covered entryway and into your escape from the everyday. Straight ahead, is the open and spacious great room that hosts your living room, kitchen and dining area. Eye-catching features like the inset ceiling with recessed lighting and warm wood accented flooring really give this space a touch of class above the competition! Your brand-new kitchen boasts stainless steel appliances, granite counter tops, modern pendant lighting and enough space to work with that it'll be sure to impress the chef in your family! The laundry/mud room is located right off the great room and next to your two-car garage access. The master suite is also on the main level and features the same amazing inset ceiling design with accent lighting, a massive walk in closet, and a private bath that's detailed with the same level of class as the rest of the home! Another two bedrooms claim real estate on the main floor with an additional bathroom to service them and your guests. Walk downstairs to be amazed at the best basement space in town! An additional family room with a gorgeous rock fireplace decorating the corner is picture perfect, and will make you wonder if you should host your company down here or upstairs! Thoughtful design has been tastefully added to this space, giving continuity throughout the entire home! This property simply will not last long. 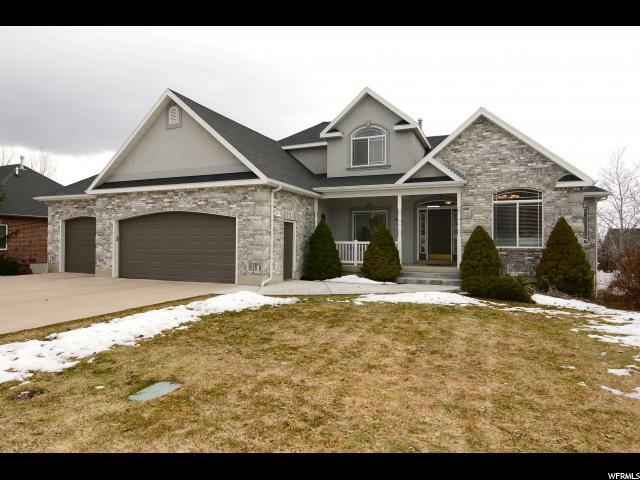 Make this home a 6 bedroom 3 bath wonder! Builder able to fully finish the basement at an additional cost to be done closely in line with a standard closing! Call to see it today! " "New construction on the east bench of Smithfield. Beautiful views of the valley. Granite counter tops, custom cabinets with hardwood laminate and tile flooring. Open floor plan with large windows. Large over sized 3rd car garage. Walk out basement with room to grow! Estimated completion May of 2019 Square footage figures are provided as a courtesy estimate. Buyer is advised to obtain an independent measurement." "This gorgeous, well-kept home is located in an amazing neighborhood, just 2 houses down from a park and 1 block away from 2 more parks! Basement recently finished. Fully fenced and landscaped yard w/ gated RV parking. Kitchen appliances & water softener included." "This bright modern layout features vaulted ceilings, lots of windows and a spacious great room. The kitchen has a large walk-in pantry, lot of cabinets for easy storage, a huge stone island. Stainless-steel appliances compliment the kitchen. Huge master bedroom with a spacious walk-in master closet. Two large bedrooms with large closets and a full bathroom. Features SunPower Solar Panels. Large backyard with breathtaking views of the entire valley. Square footage figures are provided as a courtesy estimate only. Buyer is advised to obtain an independent measurement." "Well maintained 5 bedroom, 3 bath home located in the Hunter Meadows Development in Smithfield. 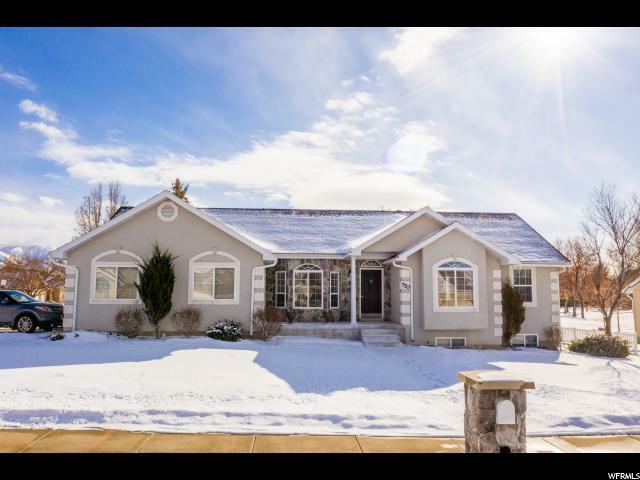 Fully landscaped yard under the snow with vinyl fenced in back yard. There is a large patio and Cabana to enjoy time with family and/or friends. " "Remarkable home on Birch Creek Golf Course. This house has 6 beds and 3 bathroom. There is also an additional salon/work space area with a seperate entrance. You can't wait to see this home. Call today to schedule your showing. " 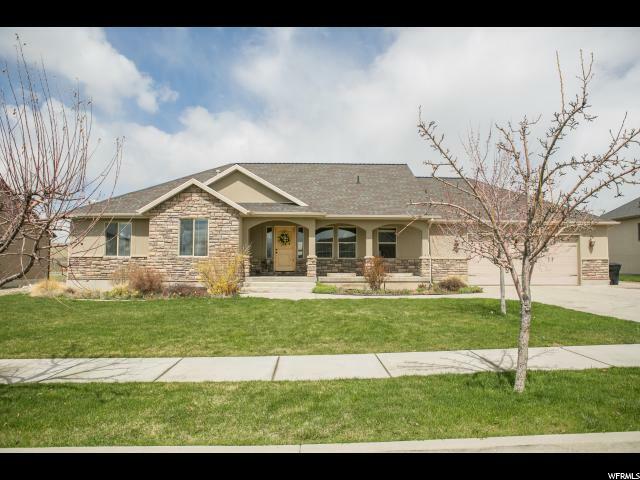 "Remarkable custom woodwork throughout this charming home! Completely remodeled from top to bottom. New windows, water heater, furnace with A/C, stainless appliances, kitchen, hardwood doors, flooring. A jetted tub in the master to relax and soak plus much, much more!! Awesome yard with a gazebo, fruit trees and raspberry patch. Quiet street and close to Mack park! " 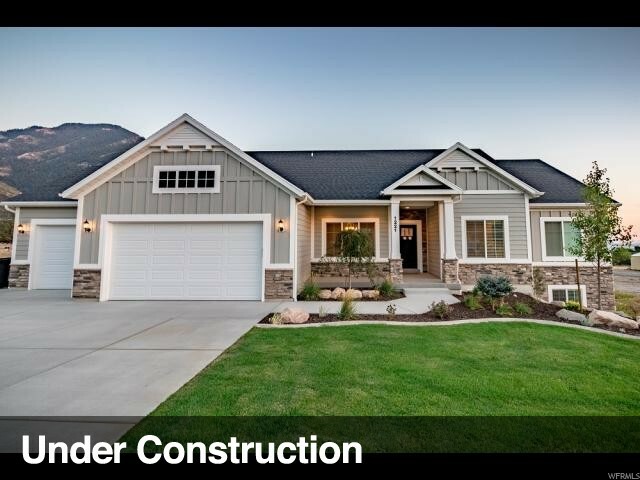 "Gorgeous new construction with everything you are looking for! 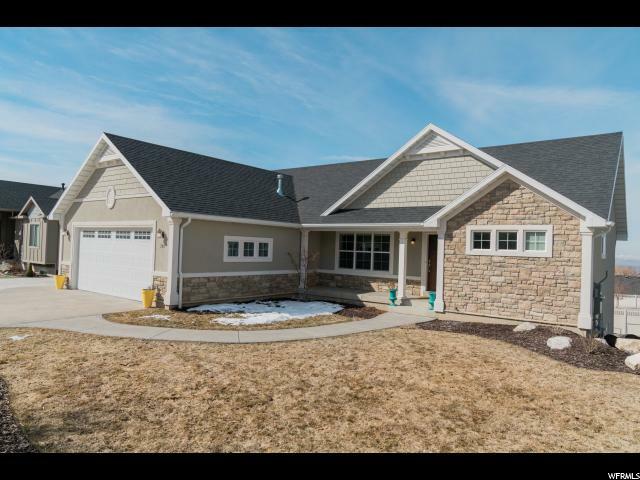 You will love the stunning kitchen, great open floor plan, large master bedroom, main floor living, room to grow in the basement, and a large yard! Call today to see this stunning home! " "Wonderful Rambler located within walking distance to elementary and high school. Large kitchen area with plenty of space for dining and entertaining. Enjoy the french doors that open up to the walkout deck. Oversized master suite with master bath and separate tub and shower and walk in closet. Basement has large family room with fireplace and 2 bedrooms with office/den could easily be used for a 4th bedroom. Walkout basement to backyard. New furnace and A/C unit. Large .37 acre yard with plenty of space. Large shade trees, fruit trees and vegetable garden. Plenty of storage in storage shed, garage and storage room." "Quick Current CMA based on sales for the last 90 days say this house is UNDERPRICED! Other sellers are asking MORE MORE MORE but this house is priced to SELL. The best memories are made at HOME ! Very well loved home, taken care of, in a great neighborhood. 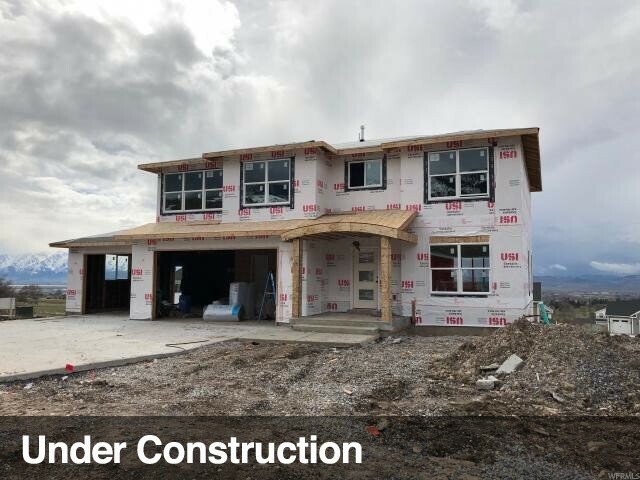 Fully finished with a 2 car garage, 5 bedrooms & 3 baths. Fully finished inside & Out. 0$ Down USDA Rural Housing Loan. Move Right IN!" 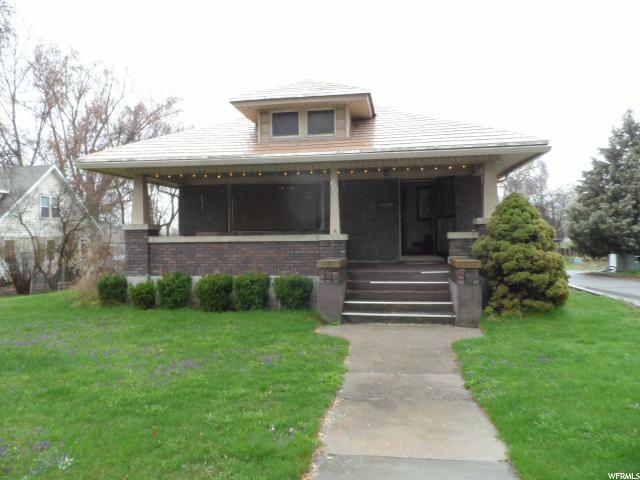 "Well kept bungalow, conveniently located. Updated 2015, new basement bathroom and bedroom. Half acre with outbuildings to protect your toys and pets. Metal roof and brick exterior = low maintenance. " "Buyer's backed out and back on the market!!! Their loss, is your gain! You'll ooh & ahh at this little gem! 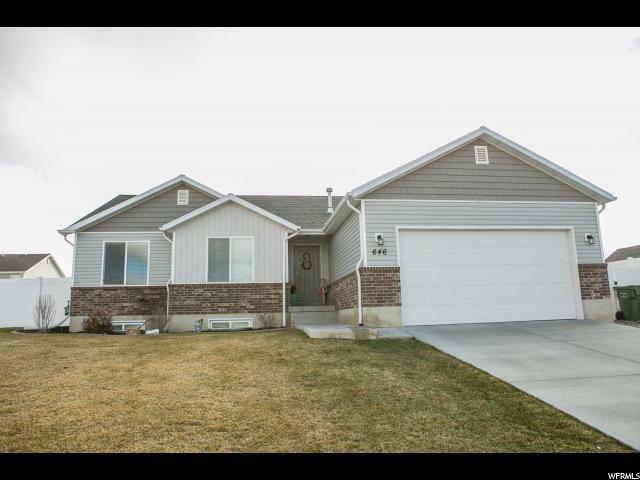 Enjoy the beautifully updated kitchen with granite countertops, title backsplash, & upgraded appliances. This darling home has 5B/3BA, a newer A/C unit, an updated master bath, & a quiet backyard with a covered patio. Come check out this one out before it's gone! (Square footage figures are provided as a courtesy estimate only & were obtained from county records. Buyer & agent to verify all information.)"